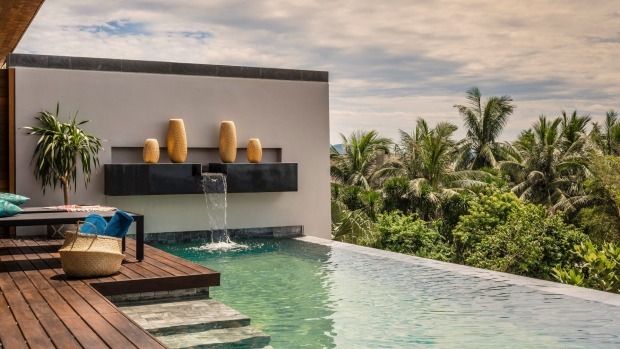 Anantara's new-build resort in Vietnam is in its soft-opening phase. Once it's in full swing, its parent company, Minor Hotels, is hoping the property will become a destination in and of itself. It has the facilities and services to meet the myriad desires of the luxury holiday seeker such that leaving the premises during a stay may be rendered all but unnecessary. You'd be foolish not to take a look around the area though: Anantara Quy Nhon is near an eponymous port town on Vietnam's central coast which provides a rare luxury in a country experiencing a tourism boom: relatively few tourists. Go while the going is still good. The resort also offers plenty of ways to get amongst the local action. Anantara Quy Nhon comprises 26, one- and two-bedroom ocean-facing villas surrounded by more than seven hectares of tropical gardens, landscaped to meld with the natural environment. The accommodation also merges with the environment, with huge sliding windows providing seamless indoor-outdoor flow. Each villa comes with a dedicated butler, in-villa wine "cellar" and "delicatessen". Dining and imbibing choices range from Sea.Fire.Salt, the all-day dining restaurant, to a swim-up pool bar and a Vietnamese street food themed diner. In-villa dining recreates the restaurant experience while Dining by Design is a menu of options such as picnics. The spa hosts a calendar of visiting wellness practitioners and the resort organises easy access to local cultural attractions, including a morning bike ride through the countryside, stopping at the house of a fifth generation family of Non La makers for a hat weaving workshop and home-cooked meal.